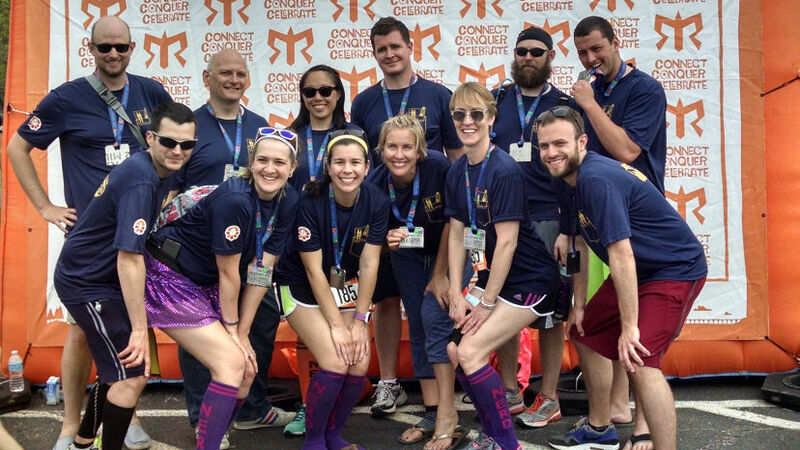 Back in 2013 a couple of folks from the Salesforce community challenged each other to do the Runners World Run Streak. 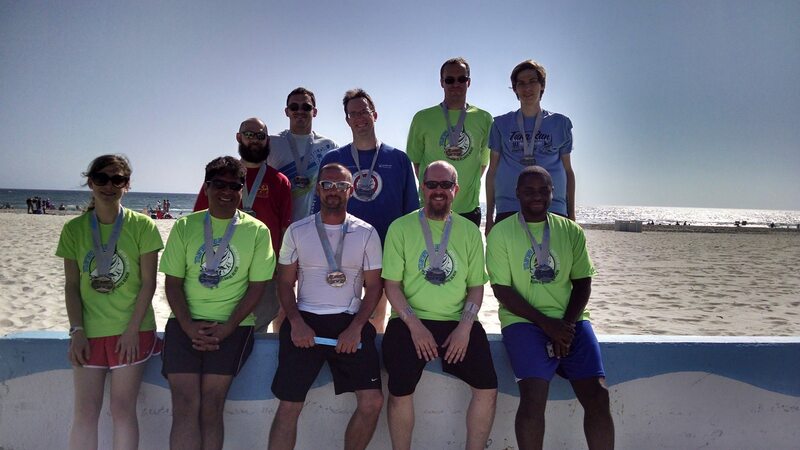 Eight of us started the challenge of running at least one mile a day for 35 days. Of those eight, four completed the challenge. This sparked a fire in me to try to keep the streak alive. Starting November 28th 2013 I ran at least a mile a day until February 23rd 2013 (88 days) when my son was born. After a little more than a week off (which felt like a lifetime) I picked back up and decided to keep the streak going for as long as possible. Yesterday (March 6th) marks two years of running every day. 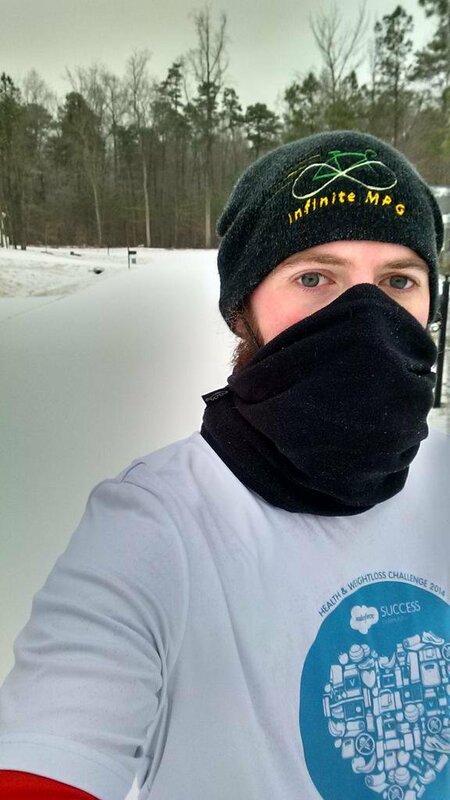 I wanted to take a little bit of time to put down what I’ve learned about running and about myself over these two years. Over the two years I’ve had the opportunity to participate in some very cool races. From the Cape Cod Ragnar (a 200mi team relay) to my first Half-Marathon, to my fastest Half-Marathon. I’ve been able to participate in a total of 5 other streaks (including one to 2014 Dreamforce). But honestly of all theses races and achievements, they are not my favorite part of running for so many days in a row. Some of my most memorable runs were ones that I had to do to keep the streak alive. Like running between two street lights in the pitch back at 4am in Hawaii before catching a flight to Dreamforce. Or finding time to sneak away during a busy holiday to get 10min to myself to run. Running has given me an outlet, a way to shake off the problems of the day and just focus on one thing. Oh, and daily running dropped my average pace from ~10min/mi down to a 7:30min/mi for a 5k. This is not to say that every run was great. Quite the opposite. There have been some down right horrible runs where the only thing keeping me going is the fact that I have to keep the streak alive. Getting up to run at 4am to catch a flight to Colorado, or running at 10pm in the rain because the weather never decided to let up. The worst of all this came in April of 2015. One Saturday while out with the family I pulled a muscle in my back. It hurt so bad that I could barely get off the floor. However, I powered through and when I woke up in the mornings my back didn’t hurt so I did a slow mile and kept it alive. Then the other shoe dropped (so to speak) at the end of May I was out in my garage getting something and (while barefoot) kicked a couch that was in our garage and broke my little toe. I thought right there and then that the streak was dead. This is when a friend of mine told me that he didn’t think that I should call the streak dead. He said that the streak should only really be dead when I didn’t want to do a run not because I couldn’t do a run¹. So as much as it pained me (both physically and proverbially) I made an exception to my streak rules. While I was unable to run I would instead walk my mile. So for nine days I walked my mile instead of running it. Every day trying to run only to be told by my body not to. After switching to a shoe with a wider toe box I was able to get back to running even with a still very broken toe. Only two weeks after breaking it, I was able to complete a timed 5k course. A lot of this is going to sound really cheesy and like terrible platitudes, and it kinda is. Big achievements don’t come easy, but it’s way easier to keep going than it is to stop and restart. Getting to two full years wasn’t something that happened by accident. It took lots of planning on some days. Saying “ok, I have to be on a flight at 6am, do I want to run when I get there or before I leave.” But once you’ve done something enough times it becomes part of your routine and becomes much easier to maintain than it would to stop and start back over again. It is possible to find time for things you love. It’s not always easy, and it may mean sacrificing some things. There have been many days where I’ve had to sacrifice some extra sleep, a lunch or some time to just relax and what TV. But honestly I’ve grown to love running (or at least how I feel when I’ve finished a run) and those little sacrifices don’t seem to really matter much. A good pair of running shoes is worth it’s weight in gold. A good pair of running shoes is worth it’s weight in gold. If you think you’re going to start running, even if it’s only short distances, do yourself a favor and spend a little bit more money on some nicer shoes. I spent a good chunk of my time buying cheap shoes and paying for it with hurting knees and feet. Also, find a way to track your mileage on your shoes. There are plenty of apps that can hook into Runkeeper or if you Strava, just use their gear options. Changing your shoes based on how many miles the manufacture says they’ll last will keep you running injury free. Change is good and should be embraced. You can probably guess that with so many days of running I spend a bunch of time running the same route. I do. But I try to change that fairly frequently. Wether that’s going to a park to run some place new, or finding a couple of variant routes through my neighborhood. Having a way to change it up will not only help your body not get stale, but it’ll keep your mind from going numb too. Just in case anyone was wondering what I run with, I thought I take a few minutes and talk about the gear that I use. Depending on the length of run, type of event and my mood I will either listen to music or I’ll listen to whatever audio book I’m currently listening too. When it comes to music, I recommend checking out jog.fm to help plan a playlist. When I set up my playlist, I chose music I wanted to listen to and threw out any that didn’t hit in my goal pace. The earbuds that I have I absolutely love. They are the previous version, but they’ve lasted for over three years now of almost daily use. For a while I was using my phone for GPS. Then while out on a long bike ride I got in a wreck and got a concussion (a story for another day). I realized that given how much the GPS drains my phone that I could be stuck somewhere on the side of the road with a dead phone and no way to get help. So I started running with the Garmin Edge 200. The Edge 200 is a biking computer and it a decent entry level GPS for biking. It’s not a very good for running and is very cumbersome to use for running. I then upgraded to the Garmin Forerunner 220 and I could not be happier with it. Do yourself a favor and if you’re going to start running a bunch, save up and get a GPS watch. You’ll get better results and you’ll be happier with not having to have your phone strap to your arm. Don’t worry, pretty much every GPS watch is compatible with most fitness systems like Runkeeper or Strava. I will say that this is no way “the best” way to do it, only what works for me. Feel free to experiment and try new things. 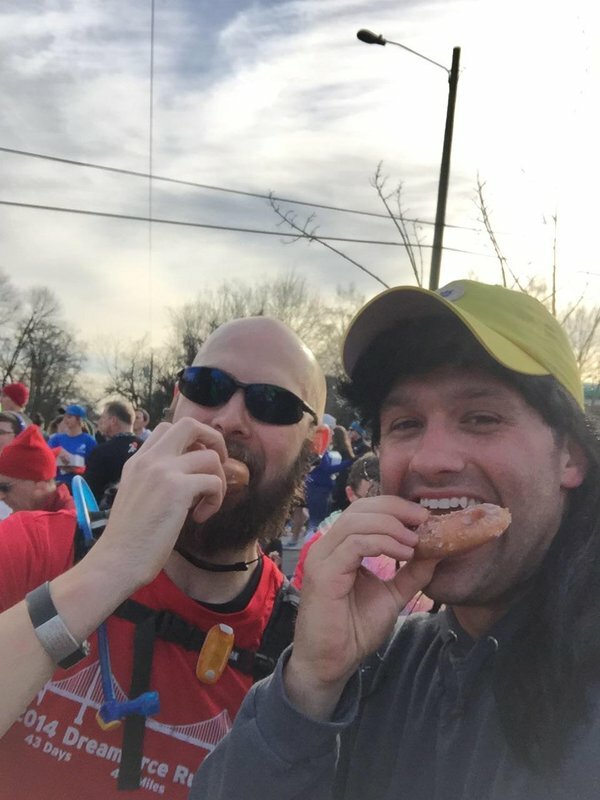 After my second half-marathon, I discovered that the chews I thought were so great actually hurt me more than helped so I switch to carrying a granola bar that has a lower glycemic index and then on my next half-marathon I didn’t bonk at all. As of right now, I have no plans to stop the streak. I do plan on upping my game for running to try my first sprint triathlon this summer as well as participating in the Tuna 200 for the 3rd time. If you want to join me, let me know! 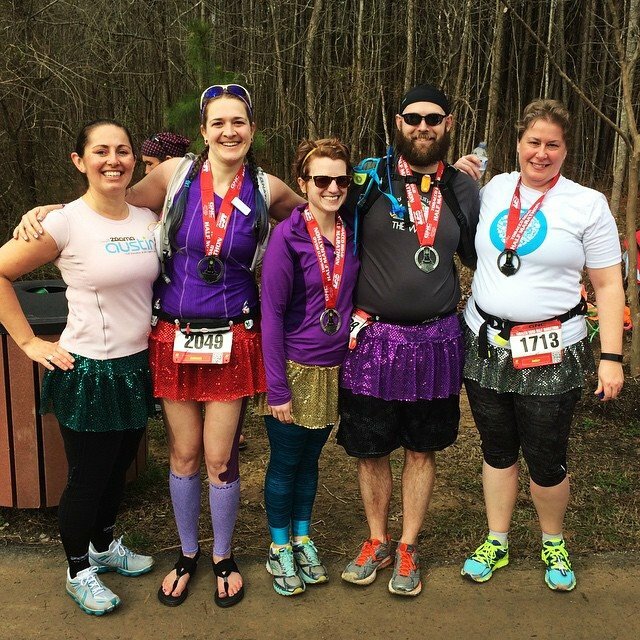 We’re building a team and could always use some more runners! Sun, Rain, Snow or Sleet. The streak don’t stop. ¹ I can understand if you would want to say that the streak isn’t valid, and that’s fine. I probably wouldn’t disagree with you, but in my eyes it is and that’s good enough for me. 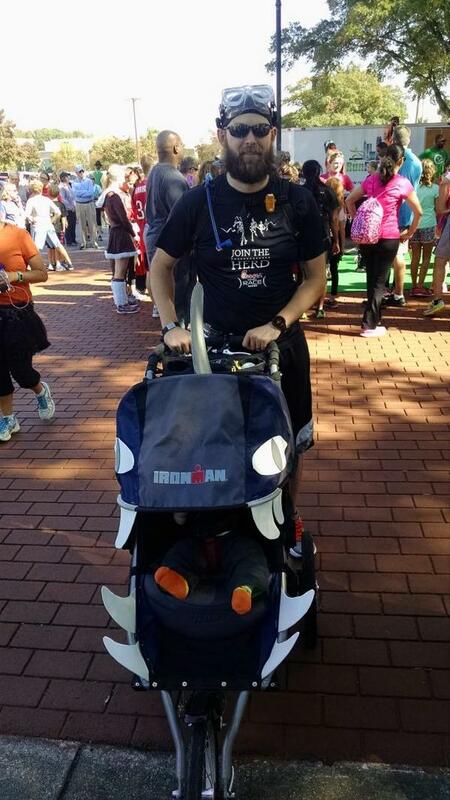 This entry was posted in Off Topic and tagged running. Bookmark the permalink.